I haven't done a Sunday Salon in forever, plus there is a gap between reviews so here goes! Now that the summer break is half over, it is time to take stock of what is left on my pile that I wanted to get to. 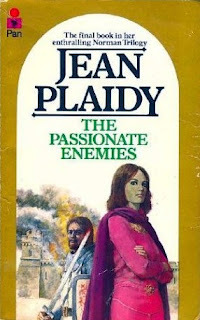 Jean Plaidy/Victoria Holt/Philippa Carr Goodreads Group! Our ninth read along! Each summer I host a Goodreads Read Along which has mostly been between myself and MaryKate, and I'm fine with that. However, if you would like to participate, you are more than welcome to crash the party over on the discussion threads that are posted. We expect to start reading in August. This is the third and final book in The Norman Trilogy and tells the story of the last days of the reign of Henry I. His son and wife are dead, and Henry hastily remarries a woman more than thirty years his junior in the hope of producing a male heir and securing the succession. If he fails, the throne will pass to Matilda, and Henry fears that his nobles will not willingly serve a woman. But after his death this feckless daughter becomes the focus of a line of would-be kings and soon the country is plunged into a bitter civil war that only a child can undo. More information can be found on Goodreads here regarding the read along. I have a few review reads for the summer as well, these two reviews will be postponed till the fall due to a later publication date. 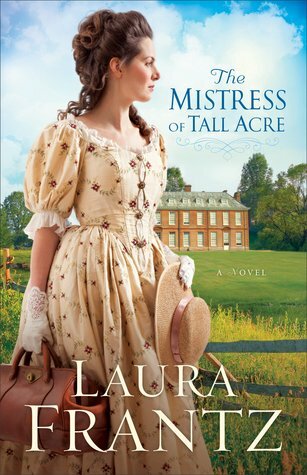 I just finished The Mistress of Tall Acre by Laura Frantz, and it was my first novel of hers that I'd read, though I've collected a few of her recent works. Very good inspirational historical fiction that the fans of the genre will just lap up, it's great stuff...especially since it deals with the American Revolution which seems to be poorly represented out there. Triumph and tragedy, loyalty and betrayal--readers find it all in the rich pages of this newest historical novel from the talented pen of Laura Frantz. Her careful historical details immerse the reader in the story world, and her emotional writing and finely tuned characters never cease to enchant fans both old and new. 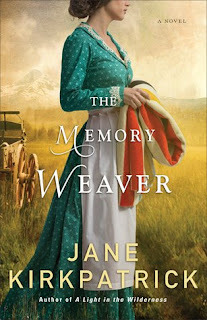 I am halfway through The Memory Weaver by Jane Kirkpatrick, which is a book based on a true story of a pioneering missionary family who undergo tragedy and turmoil at the hands of Indians and the general hardship of their crude way of life. I loved Kirkpatrick's Where Lilacs Still Bloom so much that it was a favorite of 2012. Early in Mary Tudor’s turbulent reign, Lady Catherine and Lady Mary Grey are reeling after the brutal execution of their elder seventeen-year-old sister, Lady Jane Grey, and the succession is by no means stable. Elizabeth Fremantle brings these young women to life in a spellbinding Tudor tale of love and politics. Neither sister is well suited to a dangerous life at court. Flirtatious Lady Catherine, thought to be the true heir, cannot control her compulsion to love and be loved. Her sister, clever Lady Mary, has a crooked spine and a tiny stature in an age when physical perfection equates to goodness -- and both girls have inherited the Tudor blood that is more curse than blessing. For either girl to marry without royal permission would be a potentially fatal political act. It is the royal portrait painter, Levina Teerlinc, who helps the girls survive these troubled times. She becomes their mentor and confidante. 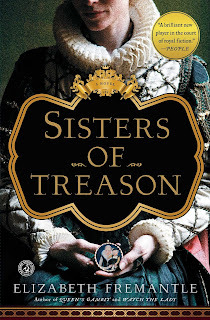 But when the Queen’s sister, the hot-headed Elizabeth, inherits the crown, life at court becomes increasingly treacherous for the surviving Grey sisters. Ultimately each young woman must decide how far she will go to defy her Queen, risk her life, and find the safety and love she longs for. 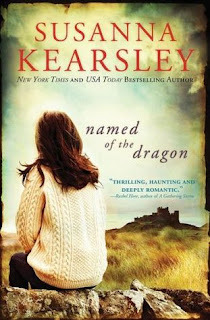 This summer's NetGalley book is Susanna Kearsley's reissue coming from Sourcebooks, Named of The Dragon. I really enjoy Kearsley's writing, which is saying a lot since half of the plots run along a contemporary story line. I am trying to limit the NetGalley eversions as I am just tired of the poor formatting which distracts from my reading pleasure. Hopefully this one is not horrendous, though I do recall the publisher having some wonky formatting issues before. Fingers crossed this isn't horrendous formatting. 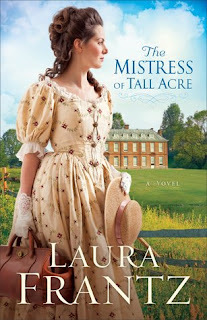 You can find my other Susanna Kearsley's posts here. 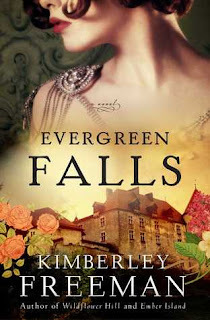 And last but not least, on the review pile will be another "auto buy" if not offered for review, Kimberley Freeman's upcoming release of Evergreen Falls. Yet another dual time period author that I love. A long-forgotten secret, a scandalous attraction and a place where two women's lives are changed forever - Evergreen Falls is the captivating new novel from Kimberley Freeman. 1926: Violet Armstrong is one of the few remaining members of staff working at the grand Evergreen Spa Hotel as it closes down over winter. Only a handful of guests are left, including the heir to a rich grazing family, his sister and her suave suitor. When a snowstorm moves in, the hotel is cut off and they are all trapped. No one could have predicted what would unfold. When the storm clears they must all keep the devastating secrets hidden. You can find my other reviews of Kimberley's books here. I had wanted to get to Conn Iggulden's newest since I have had that since Christmas, and I also wanted to try Deborah Harkness's trilogy, but I fear I won't have enough time to get to those. School starts for the kiddos in late August, which means shopping and shopping and more drama with a thirteen year old and an eight year old. And then of course the Cub Scouts and Girl Scouts events start up again, and then the Church School where I love teaching the 2nd and 3rd graders..but the free time thing will be a distant memory. Let's hope that I get to most of the books I pictured here before the madness begins again! Look how big they've gotten! !